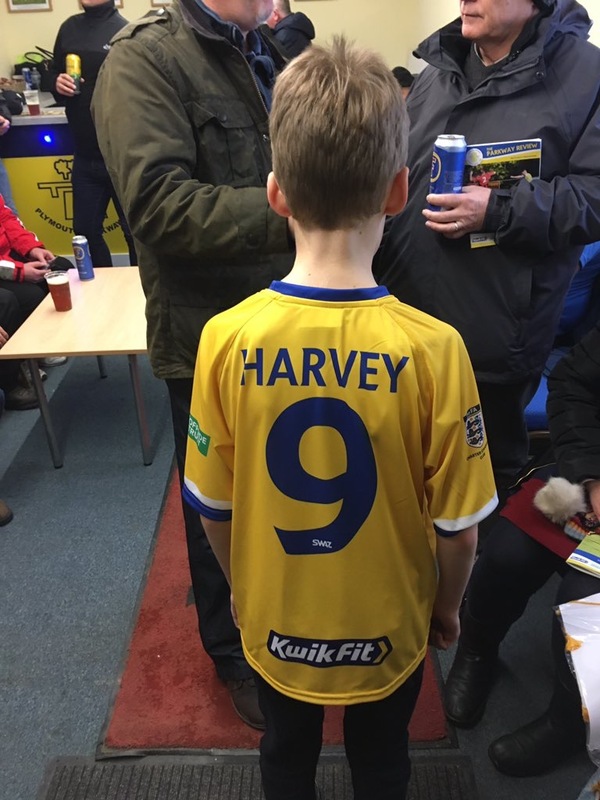 Yesterday’s mascot Oliver Harvey is a massive Parkway fan and the joy on his face yesterday was clear for all to see when he led the teams out onto the pitch with Shane Krac. 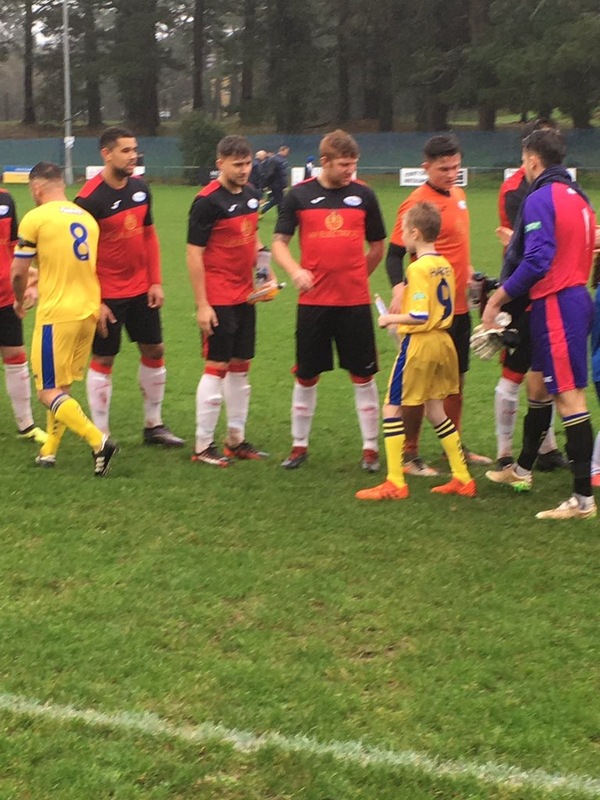 He was really excited before the game to be the mascot and even in the driving rain and wind he really enjoyed his day especially seeing Parkway win 5-1. 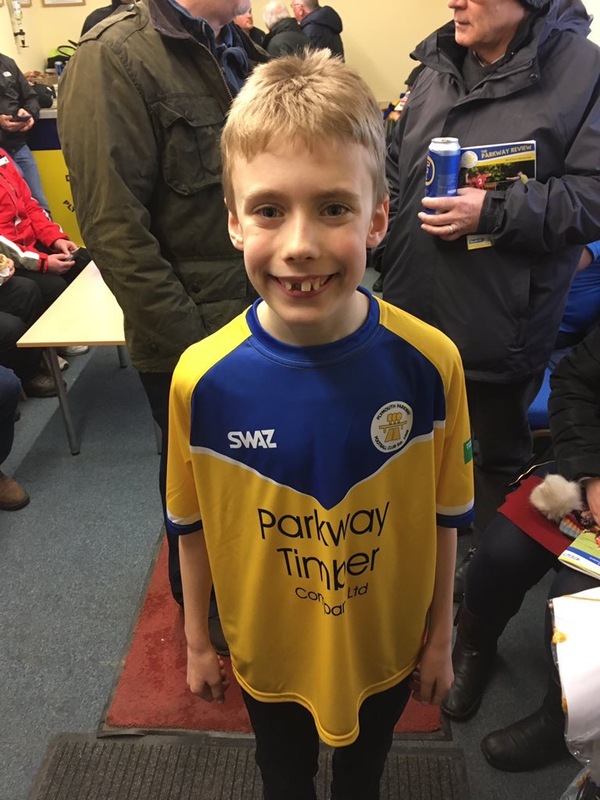 Oliver will be 9 on 29th January and goes to St Edwards Primary School In Eggbuckland. He enjoys school, but is always counting down the days until the next Parkway game. He is a season ticket holder and never misses a home match. His favourite Parkway players are Adam Carter and Mikey Williams. 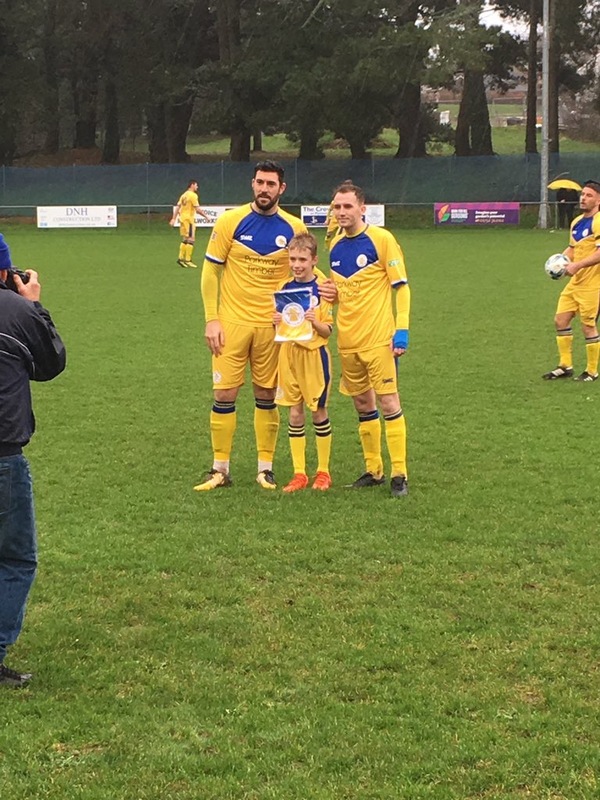 Oliver also was delighted to be able to have a photo taken with his favourite 2 players Adam Carter and MOTM Mikey Williams.